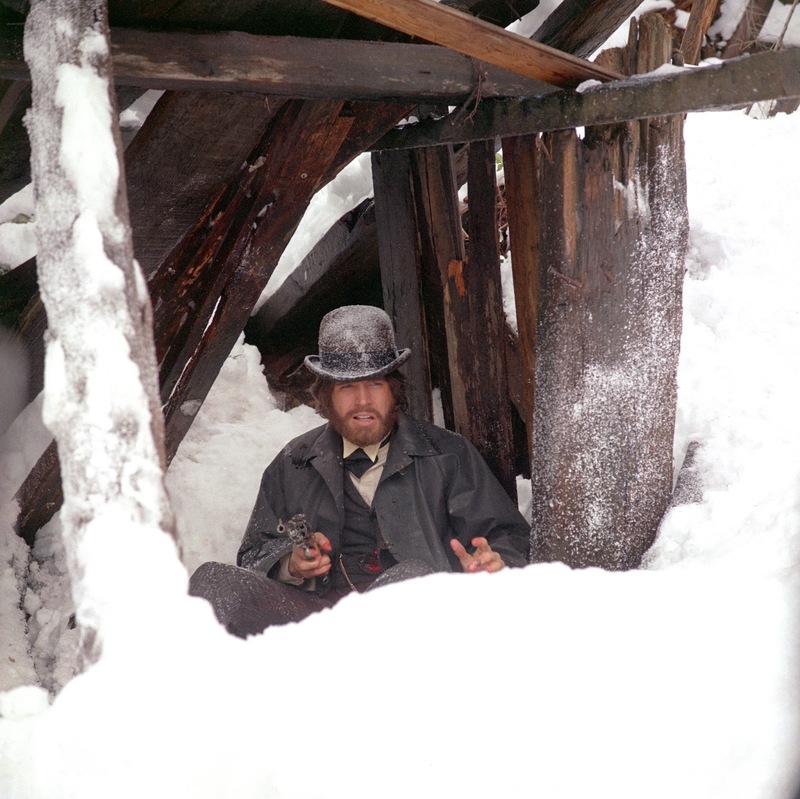 As he had done with war movies in his breakout hit, M*A*S*H, Robert Altman set out to make a revisionist Western that completely upended the conventions of the genre in McCabe & Mrs. Miller. Altman chose the source material, "McCabe," by Edmund Naughton, for its conventional Western structure, in hopes of using those stereotypical western tropes to fashion a brand new vision of the American west. The result is unlike anything else in American cinema, a wholly organic and lived-in film that seems to have appeared through the fog of time. Altman intentionally exposed the negatives, giving the film an ethereal, otherworldly look (beautifully rendered on Criterion's gorgeous new Blu-Ray), as if everything we are seeing is viewed through a slight haze. The cinematography of the legendary Vilmos Zsigmond, along with intricately detailed production design by Leon Erickson, create an evocative sense of time and place, transporting the audience into another world. Warren Beatty's McCabe is about as far from the archetypal western hero as you can get. He's a smooth-talking businessman with a self-styled reputation as a deadly gunslinger. But at heart he's little more than a mealy-mouthed coward, constantly hiding behind smooth talk and a ridiculously over-sized fur coat. So when a major out-of-town business shows up at his new brothel, co-founded with English madame, Mrs. Miller, with the intent to buy, McCabe is thrown into an impossible situation. The businessmen will not take no for an answer, and McCabe finds himself presented with a choice - stand up for little guy against a monopoly and face death, or do as he has always done and run away. McCabe & Mrs. Miller is a fascinating upending of the romanticism surrounding the American west and its ideals of masculinity. It's also a startlingly relevant critique of American capitalism, as big business devours small businessmen with ruthless effeciency. If they can't buy out the competition, they will destroy it at all costs. It all culminates in one of Altman's finest set pieces - an improvised showdown in a surprise blizzard, that may be one of the most striking finales in all of American cinema. Of course, this showdown is everything the typical shoot-em-up Western finale is not. It's almost eerily quiet, played without music (we had become accustomed to the film's haunting use of Leonard Cohen songs up to this point) Altman's place in the New American Cinema of the 1970s cannot be overstated. His loose, hangdog style, the overlapping dialogue, his almost lackadaisical indifference to plot conventions (the main "plot" of the film isn't introduced until halfway through), were revolutionary. And while McCabe & Mrs. Miller was a box office bomb in 1971, it remains one of of the towering cinematic works of the decade. A bleary-eyed, hazy evocation of the American west as seen without Hollywood's rose colored glasses. It has become a cliche to say that "they don't make 'em like this anymore." But in this case, the old cliche is wholly appropriate. 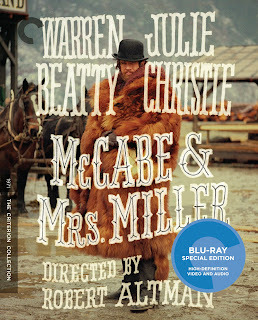 McCabe & Mrs. Miller is one-of-a-kind.